Dawn Fantasia in her seat on the council. Photo by Kelly Hart. Image provided. 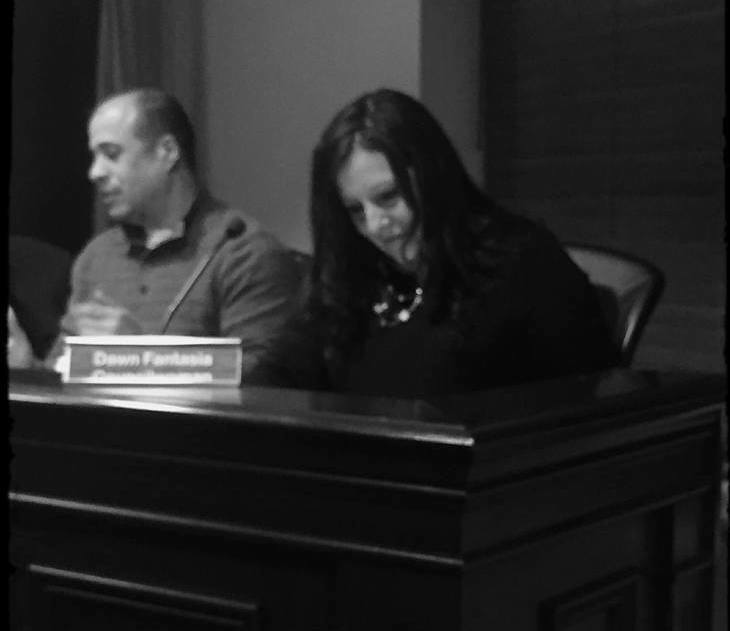 FRANKLIN, NJ – Dawn Fantasia, of Franklin Borough, was unanimously selected by the council after a vacancy left by Mayor Nick Giordano. Giordano, a Republican councilman, resigned his council seat on January 1 to assume his position as mayor. Dawn is a career educator and mother of three. Councilman Gilbert Snyder nominated Fantasia, Councilman Bob Dabinett seconded followed by the rest of the council unanimously voting “yes.” Fantasia was immediately sworn in as the newest member of the Franklin Borough Council. The council allowed for a 10-minute recess so Councilwoman Fantasia could review the remainder of the council agenda.